IJCNLP 2008 will be held on 7-12 January 2008, in Hyderabad, the fifth largest city and the major centre for IT industry in India. This is the third in a series of the flagship conferences organised by the Asian Federation of Natural Language Processing (AFNLP). In addition to the technical program, the conference will also feature pre-conference tutorials and post-conference workshops. The proceedings of conference and workshops will be made available in ACL Anthology. [New] Mar 13, 2008: Report on IJCNLP 2008 is updated. Jan 12, 2008: Report on IJCNLP 2008 is online. Jan 7, 2008: Indian NLP community announces release of resources for Indian Languages. Dec 30, 2007: The abstracts of keynote speech and invited talks are online. Dec 26, 2007: Please take note of the general guidelines for conference participants before. Dec 21, 2007: Please take note of the refund policy on registration page. Dec 18, 2007: A list of Frequently Asked Questions (FAQ) is online. During weekly review of Asian Fund – Nagao Fund (AFNF) by Local Organizing Committee of IJCNLP-08, it was reported that some additional funds are now available to encourage academic researchers working on NLP, including those who were not able to get their papers included in IJCNLP this time, to take part in the conference. Asian Fund Support committee will entertain more applications. All interested in participating in IJCNLP-08 may apply for this special offer. Please send your application via e-mail to asianfund@ijcnlp2008.org by Thu, Dec 20, 2007, the FIRST DEADLINE, and the final deadline is on Thu, Dec 27, 2007. Dec 6, 2007: Reminding all NLP specialists to enjoy earlybird rate by registering on or before 7 Dec 2007. The deadline is 11:59PM Indian Standard Time on 7 Dec. Hurry!!! ov 30, 2007: Image file of MRHD Clearance Certificate for IJCNLP has been online. You may need to print the certifcate for applying Indian visa. Nov 26, 2007: A new accommation choice (Ellaa Compass Suites) is available. Nov 26, 2007: Information about Banquet and hardcopy proceedings is available. Nov 23, 3007: Conference Program is online. Nov 14, 2007: Information for Asian Fund Appliaction is online. Nov 01, 2007: Registration is open. Oct 30, 2007: Sponsor information is online. Oct 30, 2007: Local maps are online. Oct 23, 2007: Tutorial Information is online. Oct 22, 2007: Accommodation Information is online. Sep 26, 2007: Information on Copyright Transfer Form is online. Sep 20, 2007: Call for exhibitions and Demonstrations is online. Sep 20, 2007: The list of accepted papers is online. Sep 17, 2007: Instructions for camera-ready copy are online. Jul 01, 2007: Workshop information is available. 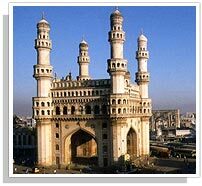 Jun 24, 2007: Photo gallery of Hyderabad is added. Jun 15, 2007: Local information and travel information are added. May 6, 2007: IJCNLP 2008 Call-for-papers. May 6, 2007: IJCNLP 2008 Call for workshop proposals. May 6, 2007: Archives of the proceedings of the previous IJCNLP conferences.